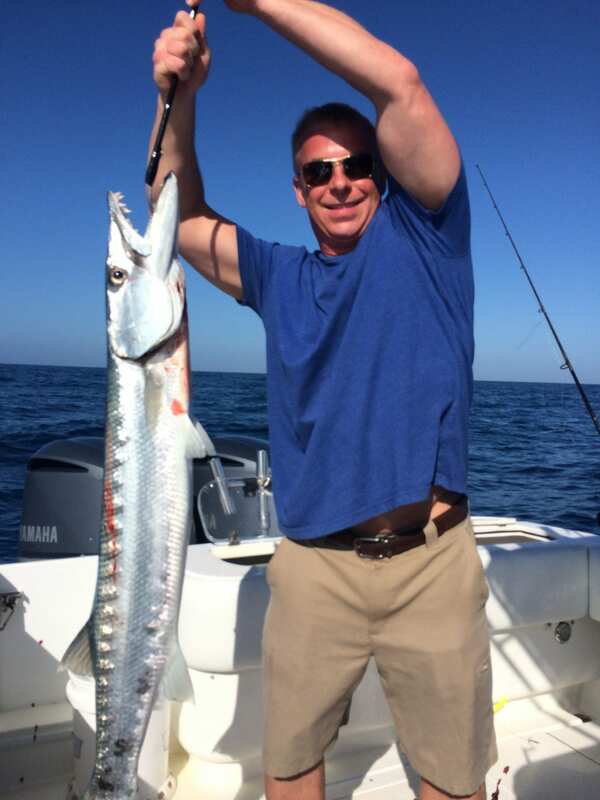 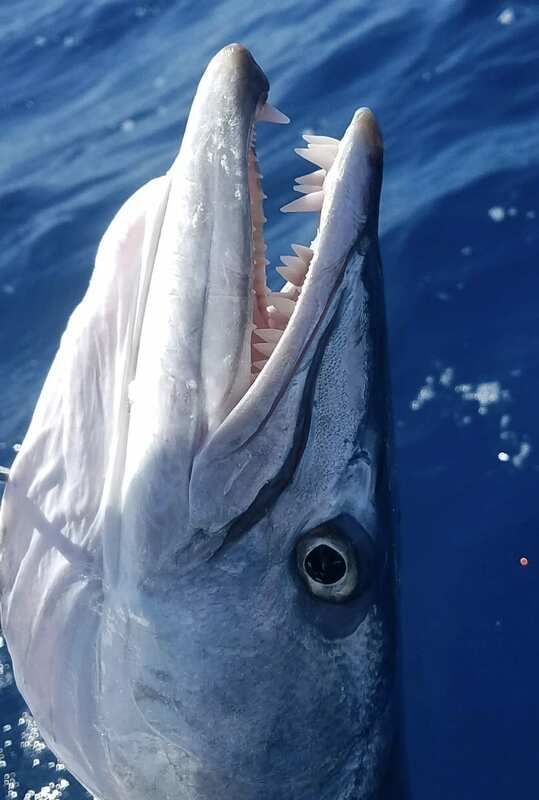 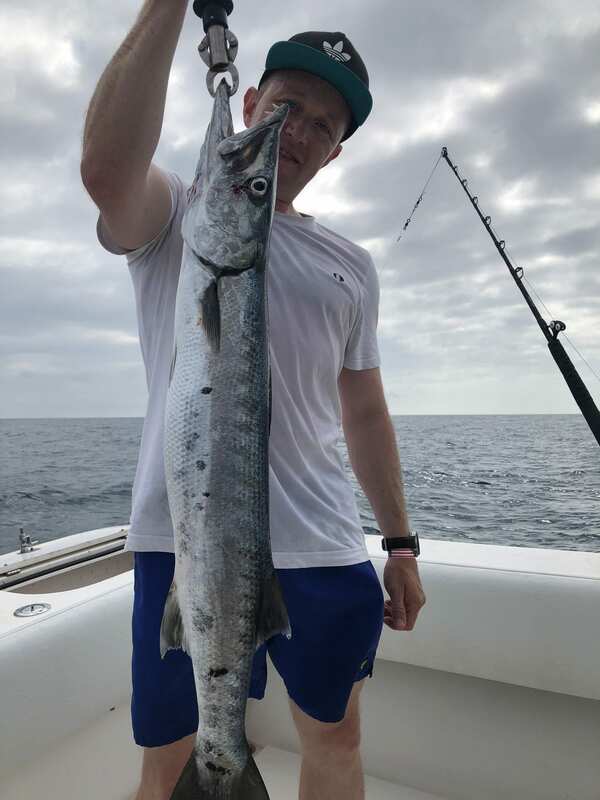 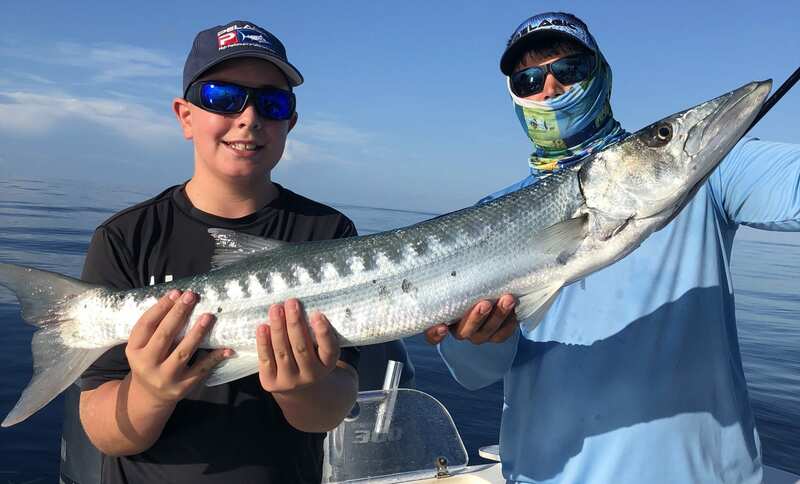 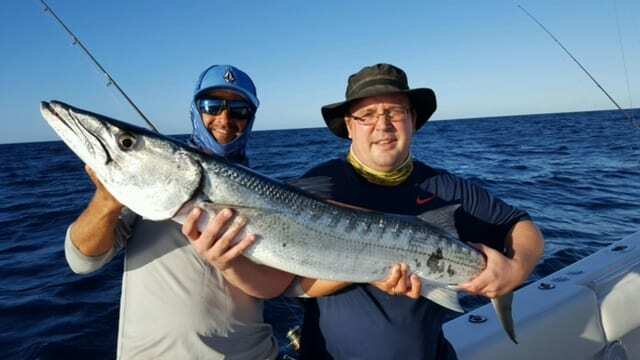 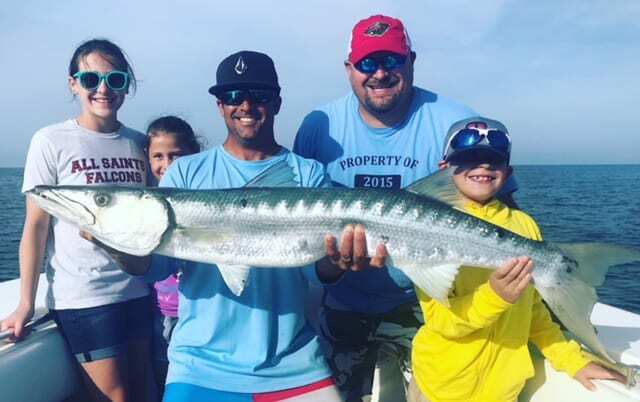 Barracuda are one of the many sportfish in the Clearwater area that get overlooked as a quality gamefish. 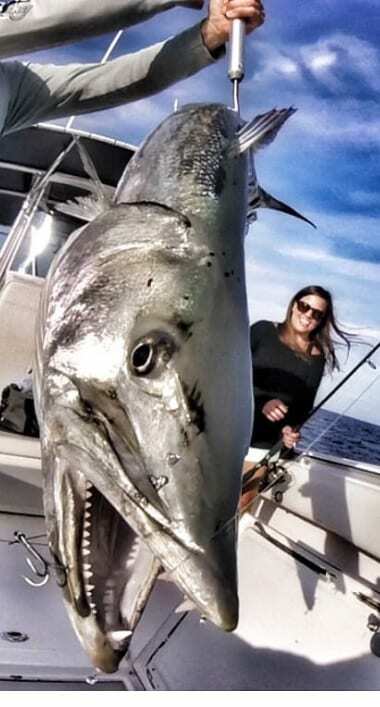 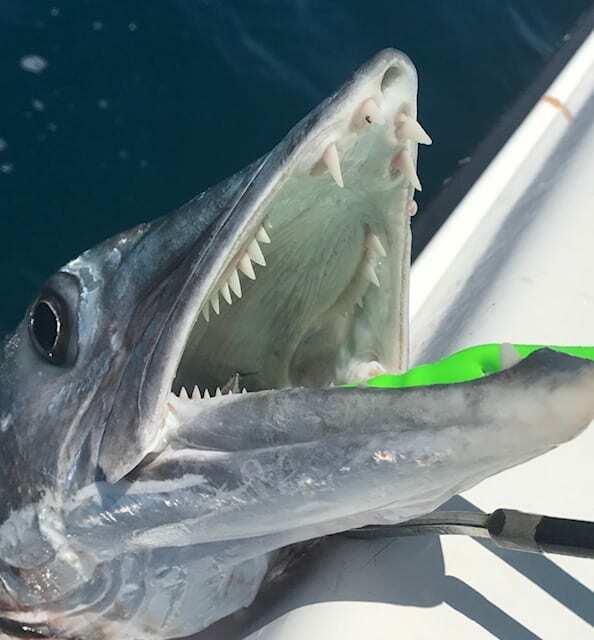 Although considered to be a catch and release species, these toothy critters put up a great fight on light tackle. 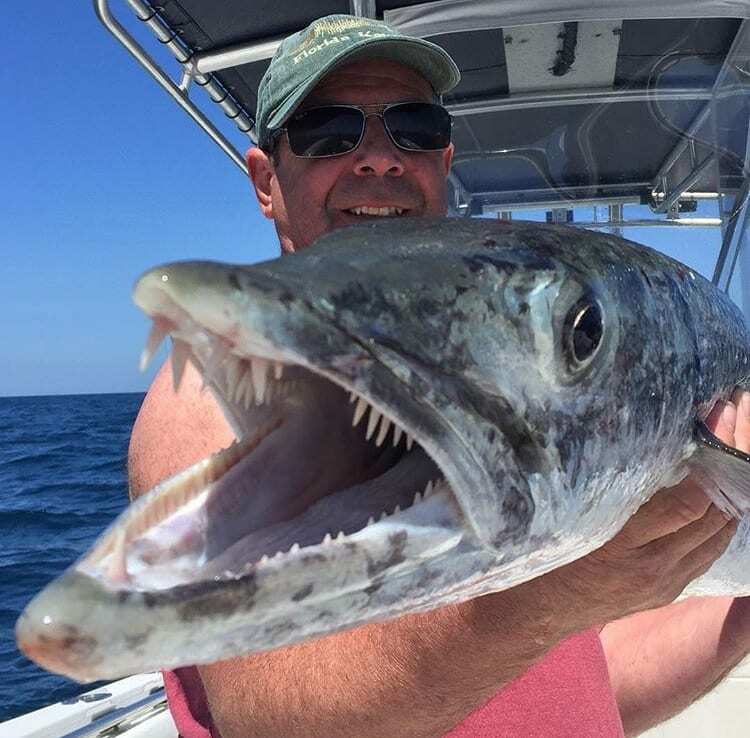 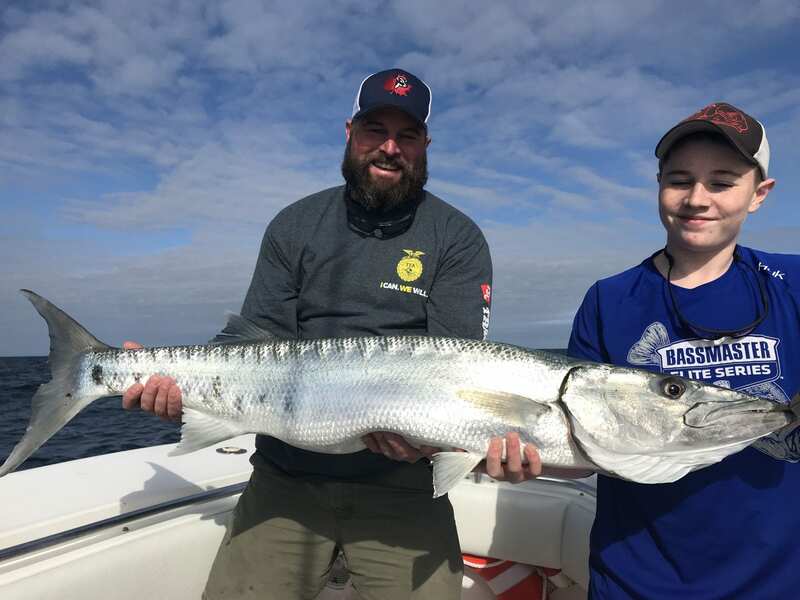 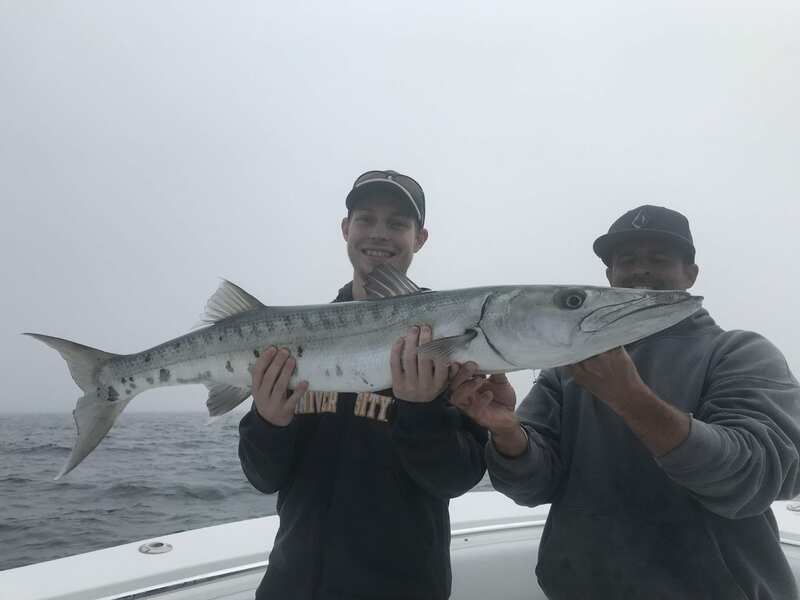 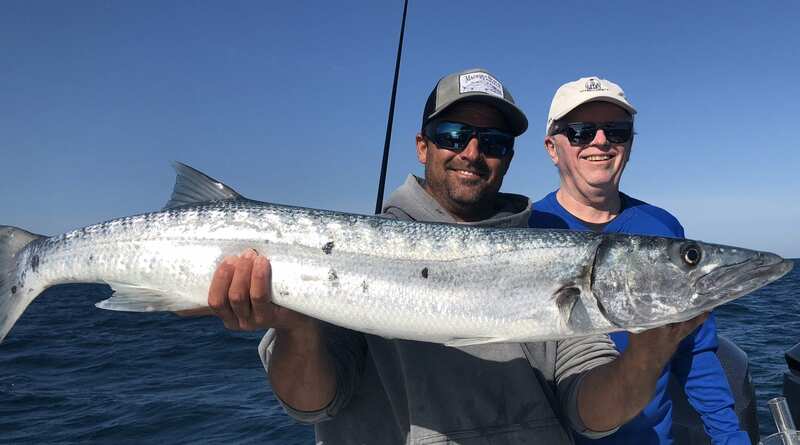 While eager to take a live bait, Barracuda will often jump all over a topwater, making for an explosive, airborne bite! 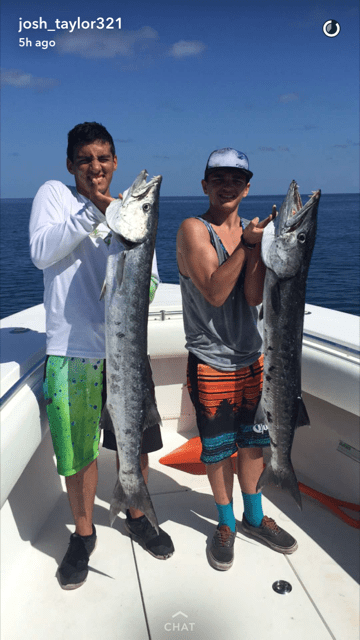 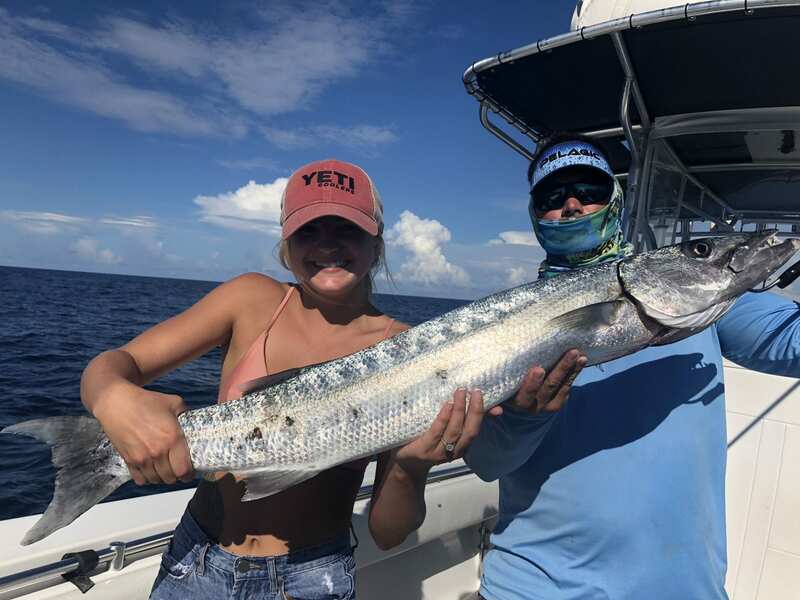 Like any species of fish that we target in the Clearwater area, Barracuda are more prevalent at certain times of the year. 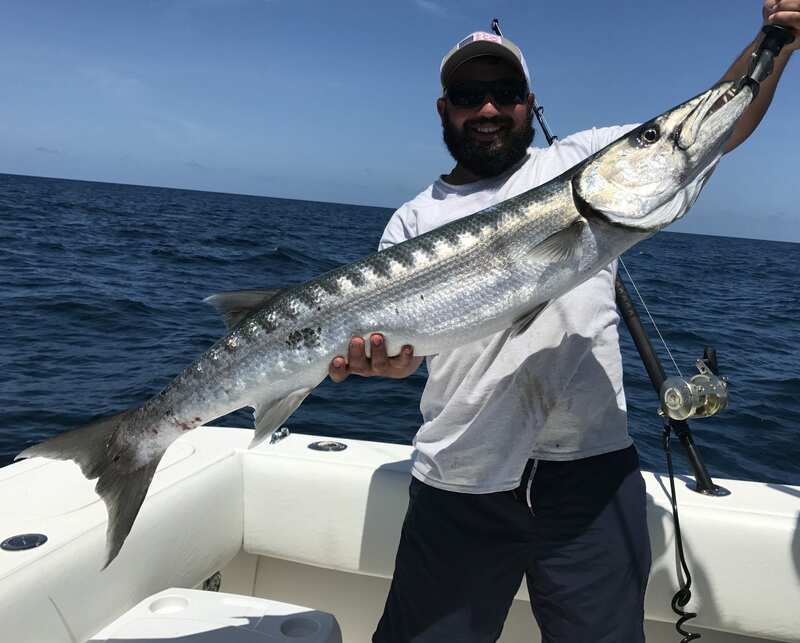 We usually catch a lot during Shark trips, Goliath Grouper trips and even live baiting Amberjack on the deep sea wrecks.